Transformers are all the same ? The Quaero Signature output transformers are the fruit of four years of development, a painstaking process of listening and fine-tuning. 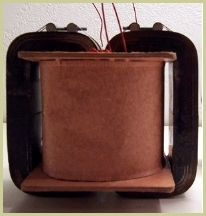 The result of this research is a range of transformers, unique in its ability to maintains the integrity of the musical signal, to deliver a full frequency bandwidth and to reduce the distortion, in order to preserve the signal path. One of the most important part of the amplifier ! Each Quaero Signature output transformer is handmade, to make sure of accurate interleaving and wire tension. Meticulously constructed in our workshop, using high quality 4 C core and fine materials like, cardboard shell, paper dielectric, anti-MDI impregnation, they contain proprietary multiple section and multiple layer design. All this combined, brings you an output transformer like no other ! Specifications, versions & options are subject to revision without notice.